Posted on: June 3rd, 2016	by Melanie C.
In full disclosure, we were given four tickets to experience The Tour by The Tour NYC. We appreciate their support of Jersey Family Fun and our attempts to tell our reader about fun New York City experiences. As always, all opinions are our own. Take The Tour and see Manhattan like you haven’t before! These days, a walk through midtown will bring past countless men and women in jackets offering you bus tours. As someone who’s lived in New Jersey her whole life, I never had any interest in sitting atop a bus in the elements as we chug along in traffic. My kids, however, are always intrigued by those buses. 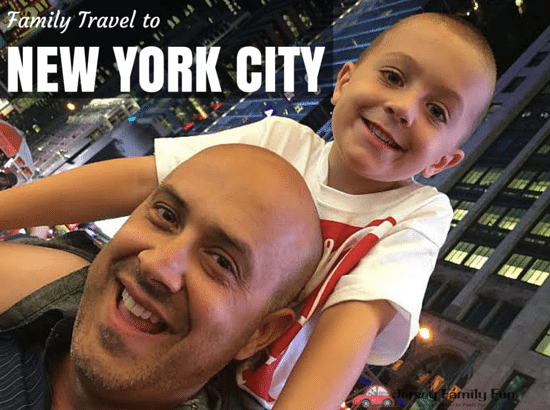 Our compromise – The Tour NYC! The Tour NYC is a bus ride very unlike the others. With all seats inside the bus, The Tour runs in all weather. One side of the bus and the ceiling is all windows, and the seating is elevated like in a theater. Every seat is the best seat in the bus! The bus is of course temperature regulated and screens that enhance your tour are visible from every seat. The Tour leaves from the heart of Times Square, a perfect location to couple your tour with all the other NYC attractions and restaurants you want to visit. You can’t miss the bus (labelled as “The Ride”) as it’s parked on 45th Street, and helpful employees get you on and seated right away. We chose front row seats but any seat would have been just as good! The Tour lasts 90 minutes and you won’t believe how quickly it goes by! Our Navigator teaching us a lot about NYC. The Tour is by the producers of The Ride, an interactive bus tour experience similar to what passengers on The Tour see, but with some on street entertainment. On The Tour, riders are led by a navigator who narrates the 90 minute ride with extensive knowledge of the past and present New York City. The bus gets into the action too, with a couple thrilling moments (I won’t spoil the surprise but be ready to ride the subway), and a lot of talk back. Our navigator Alex spoke almost the entire 90 minutes and there wasn’t a question he couldn’t answer. When we idled in traffic, he kept us interested and engaged with some great improv skills. He points out the people on the streets but with no disrespect, the protestors, the workers, the interesting characters (because of course NYC offers many of those), and of course he doesn’t miss a landmark! The Tour takes you on a 5.5 mile too through Manhattan, from Times Square to the Dakota by Central Park, to Bryant Park and back. Times when there’s less traffic, The Tour will take you past the Empire State Building as well. You won’t just have landmarks pointed out though, as the bus makes its way through the crowded streets there is plenty of time for history. The evolution of Manhattan, which was first only inhabited from 14th street and below, is fascinating! To be looking through the windows at these crowded streets and tall buildings and think that it was wilderness not so long ago is a view of NYC I’ve never had. Find out how Times Square changed from seedy to family friendly; and why it’s one degree warmer there! My children were interested for the full 90 minutes! Before we boarded the bus we saw a sign that said Hell’s Kitchen, and I didn’t know the history – imagine our satisfaction when that was one of the first things we learned. Alex kept the trip fun and age appropriate, and we loved seeing some of our favorite spots as we rode. If you find yourself without any plans after riding The Tour, you’ll find plenty of new spots to eat, shop and explore – just by riding! We saw the Disney Store, and guess where we went after leaving the bus? Tickets are available at the time of the tour, but advance reservations are suggested as tours do sell out. Use the restroom before boarding – no facilities are on board. No food or drinks available, or allowed, on board The Tour. Children 2 and under will sit on a lap. No seat belts on board as is the case with all tour buses in NYC. The Tour is not wheelchair accessible, there are a few steps as usual when you enter the bus. The Tour leaves from 45th Street and Broadway, and returns to 46th and Broadway. All tickets are $45. The Tour runs at least twice a day, daily, in all weather. 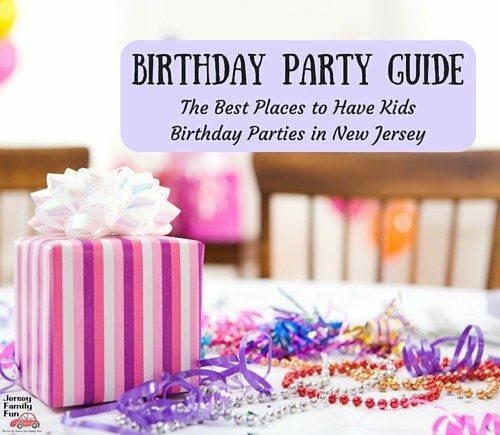 To arrange a feature on your location, contact Jennifer Auer, Jersey Family Fun publisher.